Scent Company has just completed the installation of the scent system inside the hotel Vista Palazzo, the 4th hotel of the group Lario Hotels, designed to best enjoy the Lake Como experience. The hotel chain also includes Hotel Villa Flori, Hotel Terminus and Posta Design hotel. 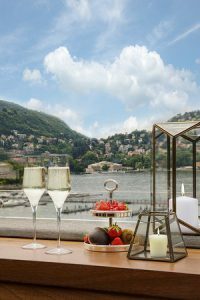 We have designed for the four destinations a unique signature scent, which identifies the group and the luxury lifestyle on Lake Como. 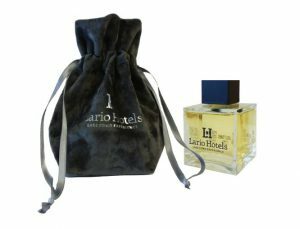 Lario Hotels signature scent undoubtedly recalls the gardens of the hotels that lie on Lake Como. 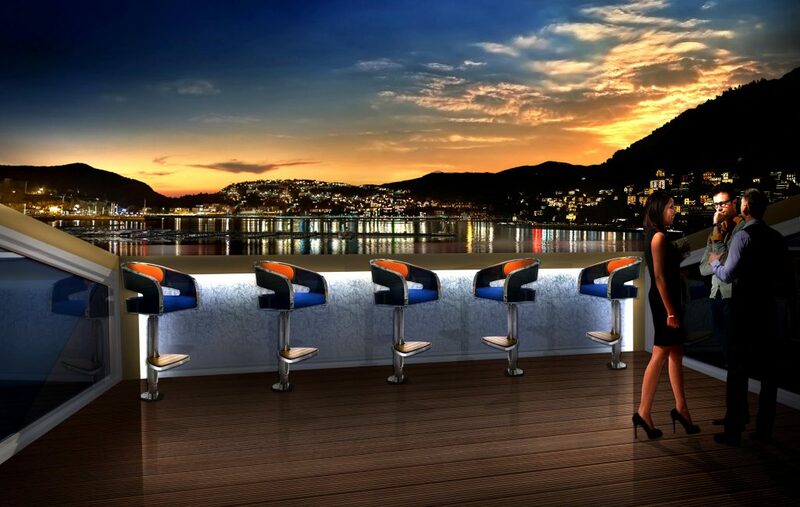 A fresh and energizing breeze that reminds of a summer luxury vacation on the lake, or the unforgettable evening aperitif with lake view, waiting for the sunset. The rich and delicious smell of tea leaves offers a comforting ritual that delights all the senses. The aroma is a separate pleasure creating the perfect balance with a mixture of citrus odors and a symphony of floral, to finally end in the sweet arms of white musk. Citrus essences like grapefruit, bergamot, lemon and orange are tart, light, and fresh. They reach the smeller’s nose immediately and directly. Finally white musk expresses the desire for beauty and seduction. 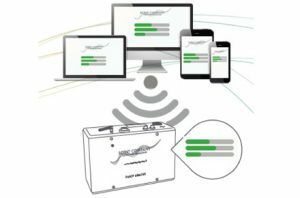 The musky notes can persist for days and express the true personality of the ambient perfume, the one that generates its fidelity in use. 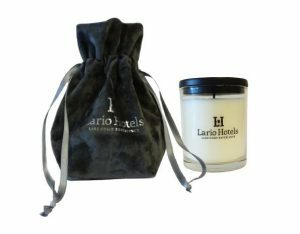 Lario Hotels signature scent is diffused in strategic areas of the four hotels through hidden high-tech scent diffusers, made by Scent Company with an exclusive technology and a remote control system. To incorporate the signature scent of the hotel into tailored branded scented products is a way to extend the olfactory branding project and to have a full branding approach; but above all it is really a creative way the hotel tells its story. The signature scent is incorporated into an elegant branded room spray and a scented candle, made with the utmost care and attention to detail. When guests of the Lario Hotels just cross the threshold of the hotel linger a moment because they remain intrigued by an unusual, special and fragrant welcome. From various research it has been identified that it is the first 10 minutes, on arrival, to define in the mind of the traveller whether the stay will be positive or not. a bespoke ambient scent that identifies the hotels of the group. The scent, even of a place, is impressive, irresistible, evident. It cancels the distance between time and space and conveys distant memories. All this, we know, thanks to the direct link between smell and limbic system, the area of the brain that regulates the emotional sphere with the hypothalamus and allows the olfactory perceptions to remain at the unconscious level. What remains on the return from a luxury journey? Memories that fade over time, images, music, books. But also smells. This is why many hotels, but also destinations, are remembered through smells.